Achieving excellence and enjoyment through high quality, inclusive practice where all pupils are motivated and inspired to achieve lifelong participation through a healthy and active lifestyle. It is important that your child has the correct and appropriate kit for PE. Below are 2 images. On the left is what they should be wearing for inside PE – Hardwick PE polo t-shirt and black shorts. On the right is what is recommended for outside PE in colder conditions – tracksuit bottoms and a top with sensible trainers. In PE we work alongside the North Oxfordshire School Sport Partnership. They provide festivals and competitions for all age groups. On their website is a list of the upcoming festivals for our school. The following document outlines the way Hardwick School have spent thier sport premium and the impact it is having. Thank you to all the staff who help run our After-School provision. I am sure that you will agree that the variety of clubs on offer is amazing. “On the 28th March, we travelled by taxi to a Gymnastics Competition. When we got there, we had to warm up because we did not want to injure ourselves. We practised the floor routine on some mats. We were then ready to perform our routine in front of the judge. We then had a rest before moving to the vault. We had one practice and two real performances. 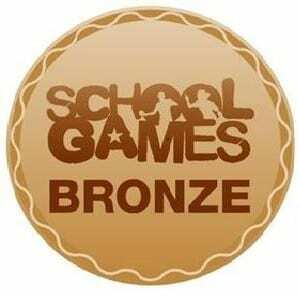 Out of all the schools we came 2nd! We will be going to the finals in the next round competing against Hill View. Charlie Smith, Oliver Wearing and Saiyon Mistry – Year 5. A group of 14 Year 5 and 6 attended the tag rugby festival. They had great fun and developed their game play through the tournement.